IRS Settles Lawsuits With Nonprofits. It started 5 years ago and just ended this month. After years of congressional investigations and lawsuits the IRS has finally admitted and apologized for illegal targeting and denying conservative nonprofit applications. U.S. Attorney General Jeff Sessions announced October 26, the Justice Department had settled two class action lawsuits representing 469 plaintiffs that sued the IRS. AG Sessions stated, “There is no excuse for this conduct. Hundreds of organizations were affected by these actions, and they deserve an apology from the IRS. We hope that today’s settlement makes clear that this abuse of power will not be tolerated.” In the Washington D.C. case the IRS signed a consent order admitting wrong and apologizing. In Southern District of Ohio case the IRS apologized and paid a financial settlement amount. Why is this news important to your ministry? It demonstrates that our government targeted nonprofits based on their mission and purpose. There is nothing to prevent this from happening again. 501(c)(3) churches and ministries today risk losing their nonprofit status due to what they say. If your ministry is an IRS approved 501(c)(3) you’re “Letter of Determination” (LOD) may be revoked for any single violation of speaking on politics and attempting to influence legislation. Worse, the IRS does not have to go to court to repeal a LOD, a government employee can do it. As social issues have become political issues, speech about sin, sexuality, and marriage may easily be conceived as a political or legislative statement. Jesus said in Matthew 7:24-27 to “Build your house on the rock”. Build your ministry on a better foundation, build your ministry as a 508(c)(1)(a). How Does President Trump’s Executive Order Affect Church Speech? President Trump is attempting to do what the 501(c)(3) law restricts, give churches their voice back. It is encouraging to see a president strongly support churches and religious rights, however the president’s executive order (EO) is limited. If your church or ministry is formed as a 501(c)(3) then it has speech restrictions. How does the EO affect church speech? The short answer is not much. First, a EO does not create, amend, or repeal federal law. Second, all 501(c)(3) organizations are prohibited from supporting or opposing political candidates and attempting to influence legislation by federal law. The only way to change federal law is by agreement of both the US House and US Senate; that has not happened. Third, If a EO gives preferential treatment to churches and religious 501(c)(3) organizations while applying a more restrictive measure to secular 501(c)(3) organizations, then there is likely discrimination. Fourth, within hours of signing the first lawsuit to challenge the EO was filed by the Freedom from Religion Foundation (FFRF), a secular 501(c)(3) organization. We desire real change in our country and a return to our Christian heritage, but the impact of this EO should not be exaggerated as a new opportunity for 501(c)(3) churches and religious organizations to speak out. Often an opponent of religious exemptions, the American Civil Liberties Union (ACLU) choose not to file suit because the president’s EO does not do much. ACLU Director Anthony Romero stated, “Today’s executive order signing was an elaborate photo-op with no discernable policy outcome”. Find Out Why These Famous Ministries Are Re-organizing As Churches And How You Can Too. Recently the Billy Graham Evangelistic Association (BGEA) after 66 years serving as a ministry changed their tax status from a religious nonprofit to an association of churches. Samaritans Purse is currently changing their tax status for the same reasons. Liberty Counsel, a law firm that defends religious liberty, changed their tax status in 2006 to a church integrated auxiliary. Why would these leading Christian religious organizations change their tax status? Aren’t all 501(c)(3) nonprofits the same? Having “church” status is the strongest legal and tax foundation for ministries. It means there are specific exemptions in federal law excluding churches, church ministries, and association of churches from having to file a 990 tax return (See 26 USC § 6033), special IRS audit protections (See 26 USC § 7611), and employment rights that other nonprofits do not have. It is not hard to qualify as a church. Many ministries can make the change to organize and operate as a church. Some examples of IRS approved “church” status that were not part of any denomination include the following: Salvation Army, who offer thrift stores, camps, job training, and housing. Young Life, a ministry focused on youth, is not part of any denomination and meets at recreations areas and camps. Two recent IRS approvals that raised eyebrows and demonstrate great latitude in qualifying for “church” status include First Church of Cannabis, approved by the IRS in 2015 even though Cannabis is an illegal drug as defined by Indiana State Law and Federal Law. Our Lady of Perpetual Exemption, started as a joke by HBO’s John Oliver, was also approved as a church by the IRS. If you are worried about protecting your First Amendment rights and your ministry is not a church or church ministry, contact us today. From all of the family at Helping Hand Outreach we wish you a HAPPY EASTER! Watch our short 2017 Easter video! Will Trump Be Able To Repeal the Johnson Amendment? President Trump Thursday at the National Prayer Breakfast promised again that he would “get rid of, and totally destroy, the Johnson Amendment and allow our representatives of faith to speak freely and without fear of retribution, I will do that- remember.” (President Trump Full Remarks Here). It is highly unlikely that the Johnson Amendment will be repealed; here are a few reasons why. First, many people and people of faith oppose repealing the Johnson Amendment. Second, the Johnson Amendment is part of federal law, the only way to repeal a section of federal law is through approval by both the US House and US Senate; not an easy task these days. A presidential executive order lacks standing and authority to amend federal law. 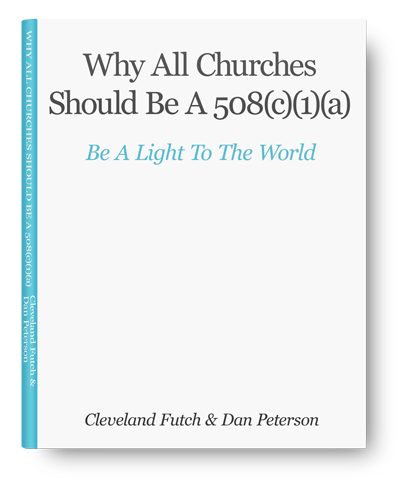 Third, most 501(c)(3) organizations are not churches. According to the National Center for Charitable Statistics (NCCS) there are more than 1.5 million nonprofit organizations. Of this number only about 312,000 nonprofits are churches. (Source Here). In other words, there are nearly 5 times as many non-church nonprofits as there are churches. Many of these nonprofits would not be supportive of the Republican Party, and therefore if given a voice to speak, would actively support the Democrat Party. Why would a Republican Congress approve a law that would potentially weaken their party? Finally, even if the Johnson Amendment is repealed, many 501(c)(3) organizations are funded by taxpayer money through federal or state grants. If these government subsidized nonprofits support or oppose candidates or speak out on legislation; federal courts will likely strike this down as unconstitutional. Thank you for reading this update, have a blessed day! Dear friend: Many professionals have been asking for more detailed information on Section 508(c)(1)(a). We have prepared a legal analysis about the legislative history, intent, and court rulings concerning Faith Based Organizations organizing and operating under Section 508(c)(1)(a) and Section 501(c)(3). If you value freedom of speech and freedom to express religion, please take time to click on the link below to our website for this important information. We have a new web design to better educate and communicate our vision to help you be a light to the world. Stay connected! IRS does not have authority to enact rules that are in conflict with federal law. Three strikes and you’re out? When the Internal Revenue Service (IRS) decided to regulate independent tax preparers in 2011, it claimed its authority to impose a licensing regimen came from a statute from 1884 and said it wanted to protect the public from bad apples in the tax preparation industry. For those who like a written hard copy we’ve added a brochure you may download off our website. @chriswcotner The only scam is your ignorance and bias toward religious liberty. We have our own licensed attorney and CPA with his J.D.